Recently, www.askmusa.org was established as an online resource for Muslims to learn more about Judaism. The website is available is English, Arabic, Farsi, Urdu, and Bahasa. 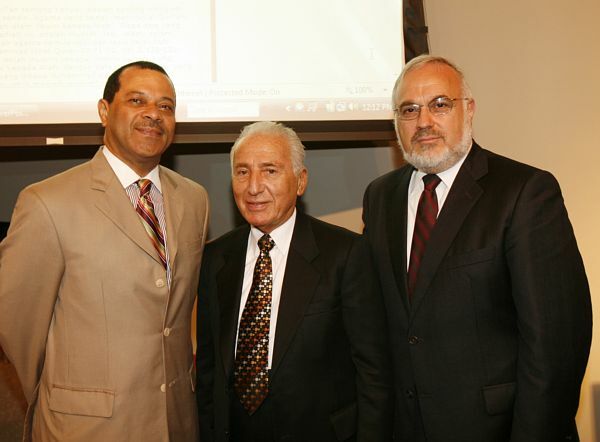 The project was started by Rabbi Abraham Cooper who is the associate dean of the Simon Wiesenthal Center. This was done in response to what he saw as a marked lack of knowledge about Judaism among many Muslims, even the most learned. During one interesting encounter, he brought his Tallis and Tefillin to a meeting with a prominent Muslim figure and the man was surprised to learn that Jews prayed. Situations like these impressed upon him the need for this project. The Simon Wiesenthal center is responsible for the site. While many Jews may not have much to gain from the sections that deal with explaining traditions and holidays or who we are as a people, they may find certain theological discussions on the website interesting. For example, one respondent posed the following question: “Members of the Jewish faith often feel that they are G-d’s chosen people. Given this view, how can the Jewish community stand on equal ground with those of other faiths? Doesn’t this opinion of themselves as God’s chosen people make Jews become arrogant?” This may be a question that many Jews have asked themselves in the face of commonly held liberal beliefs. In addition, the section dealing with Holocaust denial and various racist myths could be interesting and of use to Jews as it may educate many about the extent and form of the anti-Semitic dangers facing their people. The site features articles written by Jewish scholars and also responds to questions posted by readers. For those who choose to do so, their identities are kept confidential. This is done in light of some of the environments in which the respondents may live. Among the articles posted that are not responses to questions, they are divided into categories spanning from dispelling negative stereotypes such the blood libel to who we are as a people to what contributions we have made to the world at large. The website also offers a comprehensive history of the rich and often positive relationship between Jews and Muslims throughout the centuries. While not all questions and responses are published, they will all be answered. According to Rabbi Cooper, during the first few days of the websites launch, they received over 100 emails, mostly in Arabic. The website is careful to maintain that though it is a forum for understanding, it is NOT indented to be a forum for political debate. This may prove to be a hard line to maintain given the tendency for the two domains to coincide. According to Rabbi Cooper, the website is intended to be a counterbalance to Al-Qaeda and similar hate groups that have been using the internet as their newest arena. Rabbi Cooper emphasizes the diversity in the Arab and Muslim world and that while there are a minority that are indoctrinated with hate (for whom this site will not be very useful), it will hopefully spread tolerance and education to those who may not know much of anything or are just curious. This will presumably create a barrier to the messages being preached by hateful groups. One particular challenge that faces this website is the difficulty inherent in disseminating the existence of it to those who might want to view it. Many lack the interest or the resources to even find a site about Judaism. In response to this, Rabbi Cooper has met with leading Imams of major Islamic communities in the United States such as Orange County in California. Furthermore, he is utilizing such interconnected networks as the expatriate Iranian community in Los Angeles that numbers about 600,000. Over 45,000 of these people are Jews. The assumption is that an expatriate base may push awareness across borders. Widespread access in Iran could prove to be pivotal in Muslim-Jewish relations. “The website does provide useful and informative information about Judaism. Concepts like charity and prayer are aspects of Judaism that are not communicated enough. I'm happy to see the website in multiple languages predominant in the Muslim world. On a technical side, I hope the team behind the website would invest in improving the quality of the Arabic text. It’s always better to have a native speaker write the text in Arabic rather than translating, or thinking in one language and writing in another. That way they'd be able to connect better with an audience of a different tongue.